What would you do-oo-oo-oo for a Klondike bar? Now that you are considering all sorts of crazy feats, let’s switch gears and chat about the great month of March. I love March for several reasons. The calendar changes from winter to spring. March is also National Frozen Food Month. This might seem underwhelming, but there are some spectacular frozen foods. Ice Cream is a frozen food. Step one: Make the ice cream.Slice bananas and freeze overnight. Once bananas are frozen, combine peanut butter and frozen bananas in a food processor. Blend until the consistency of the mixture is similar to soft-serve ice cream. Line a loaf pan with foil of parchment paper. Spread ice cream in pan and freeze 6-8 hours or overnight. (Instead of spreading my ice cream all the way to the edges, I formed two squares of ice cream in the pan. Step two: Make the chocolate coating.In a wide-mouth bowl, combine melted coconut oil, cocoa powder, and sweetener. Stir until smooth. Step three: AssembleRemove ice cream from the freezer. Use the foil/parchment paper to remove the ice cream from the pan. Use a knife to cut the ice cream into two (or more) squares (It will not be necessary to cut your ice cream if you formed it into squares before you froze it). Line a flat dish, pan, or plate with foil or parchment paper. Use a fork to dip the ice cream in the chocolate sauce. Once the ice cream is coated, place it on the plate. Most likely, the coating will harden within a minute of being on the cold ice cream. If not, freeze for an additional hour to harden the coating. 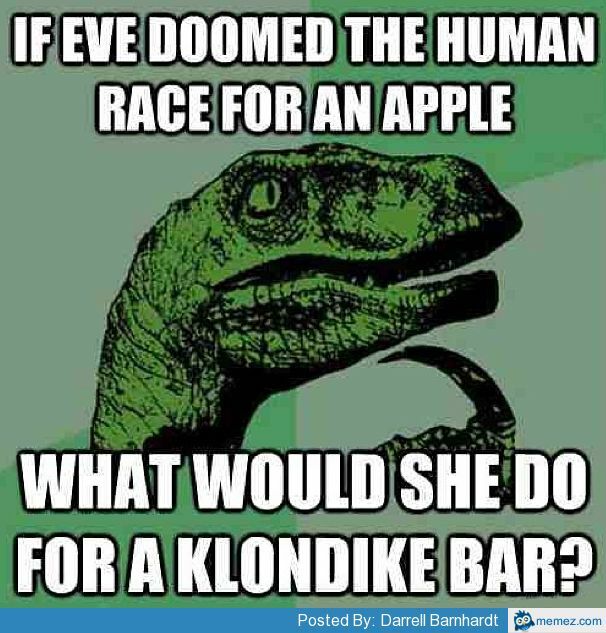 Let me know: what would you do for a Klondike bar? I am linking up with Angie for Fiesta Friday. I’m afraid I don’t know what a klondike bar is, I don’t think we have them in the UK. But if they look as tasty as your recipe I know I’d like them. I love salt, peanuts and chocolate together! I still need to try the banana ice cream thing! These bars look delicious, gotta love peanut butter and chocolate! If you like bananas, then banana ice cream is a great way to feel like you are eating ice cream for breakfast! I love it! March is my birthday month, too! I bet this would be great with Squirrely Tail! Oh! Squirrely Tail is my favorite! I think this would be great with any BSNB flavor!